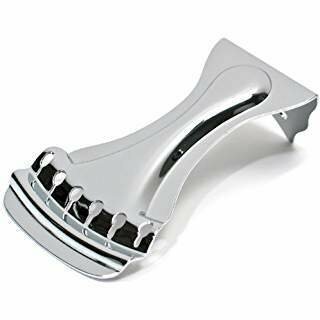 Traditional stamped-steel tailpiece, richly nickel-plated. It will fit all wooden or steel body resonator guitars-old and new. This classic design has been standard issue on the finest guitars for almost 100 years.